If you are considering participating in a short-term trip, you have some responsibilities before you choose where you are going and who you are going with to serve. You should examine your intentions as you begin thinking about your purpose in going. You should check into the organization you plan to go with before signing up. 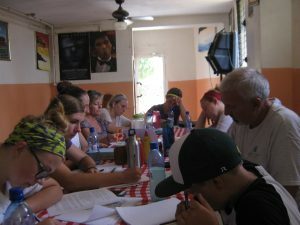 When considering participating in a mission trip the first thing each individual should ask is, “Is God calling me to go and serve?” Yeah, I know it would be nice if God always spoke to us verbally and we could physically hear Him say, “John go serve two week in Kenya!” This is a whole topic in itself. What you need to do before going on a short-term mission trip is take some time to pray, asking God to give you direction in where He wants you to serve and to help you have wisdom in choosing an organization to serve with as you go. If you do not feel God calling you to go, then do not go. The CWO application has a couple questions to help potential team members think about the desire to go on a short-term trip. “Why do you wish to go on this mission opportunity?” is the first question that addresses this. Asking yourself why you want to go can help you determine if God wants you to go. If you are going just to check it off your bucket list of things to do or places to go, then do not go. I have had team members go for this reason and it is quickly evident they are not interested in going to serve but ready to go on their next “adventure.” Their interest is seeing the world and not serving with those in the country they are visiting. I do need to add that if you are going just so you can get to the country where a child you sponsor lives, do not go. I know the desire to see that child you have sponsored for many years is strong but if this is why you are going your motive is selfish. I have seen team members sit around and not participate in the activities of the team just waiting to visit their sponsored child. The saddest part is knowing that this selfish act has caused a hardship on the child’s family because they need to miss work and sometimes travel for a whole day just to bring the child to visit. Another question we ask on the application is, “How do you plan to use this experience when you return home?” This may seem like an odd question before you leave but again it may help you know what your motive is for going on this trip. A short-term trip is a good way to test your ability to function cross-culturally, especially if you are thinking about serving long-term. This is a great way to get a glimpse of what long-term missionaries deal with on a day to day basis, helping you know how to pray for them. It can also help you know the real needs so that you understand what financial support is helpful. I have seen people go on a different short-term trip every year each time with a different organization and to a different country. They do not have a desire to understand and learn but, again, are checking it off their list. It is your responsibility to set your expectations before going. 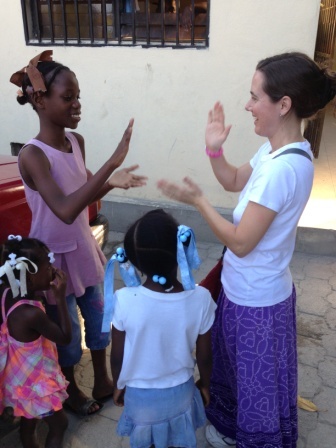 The beginning of setting your expectations is to investigate any organization you might go to serve with on a trip. Ask lots of questions before applying for a trip. If you do not get any clear answers you may want to look somewhere else for a place to serve. I would ask for a reference of someone who has already gone with the organization. They will be able to help you know what to expect when going to serve. A short-term trip should be viewed as a learning experience. Be ready to go observe and ask questions (when appropriate). This is not a time to sit back and relax but a time to study the culture around you, investing time with those you are working with and serving alongside them. Begin building relationships that can last and grow as you serve. This can seem like a lot of hard work but it will be well worth it as you return home and reflect on what God has taught you through your short-term trip. What’s next? In part three about short-term trips we will look at what happens when you get home.